The Mattenfilter, Hamburg Mattenfilter, or foam sheet filter design dates back to the 1960s in Germany. 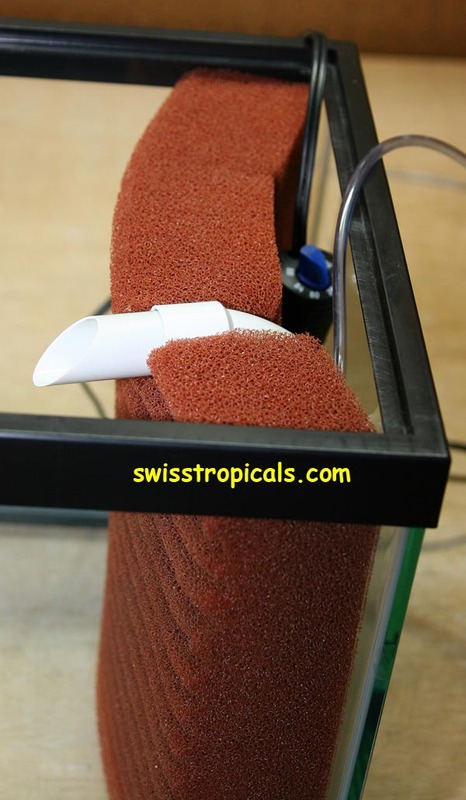 According to various reports, the filter was invented by aquarists near the city of Hamburg, hence the name “Hamburger Mattenfilter” or “HMF”. While the basic design has changed very little, the parts used today are longer lasting. Reticulated polyurethane foam invented in 1956 made the design possible. Producing reticulated polyurethane foam is a two-step process: regular polyurethane foam is produced and then the membranes of the foam are removed by combustion. This creates a maze of polyhedral cell struts without windows and a very large surface. In terms of weight/volume and specific surface area, polyurethane foams surpass most other filter media. 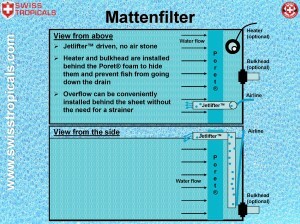 The term filter for a Mattenfilter is actually misleading. The purpose of the foam is not to filter the water as is often assumed. The foam serves as the habitat for a vast array of microorganisms that include bacteria, archaea, worms, ciliates, flagellates, and many others. These microorganisms live in a community that is based on biofilms. The biofilms are created by bacteria that secret extracellular polymeric substance (EPS), which is often called “slime”. The community forms a bioreactor that processes the waste and turns it into food and energy for its members, and ultimately into organic or inorganic products that are then used by plants, evaporate, or removed by water changes. It takes a considerable amount of time to establish this “filter community”; consequently, it is very important not to disturb it unless absolutely necessary. The brown filter sludge in a filter is for the most part alive and not simply waste. Removing this mud does more harm than good. 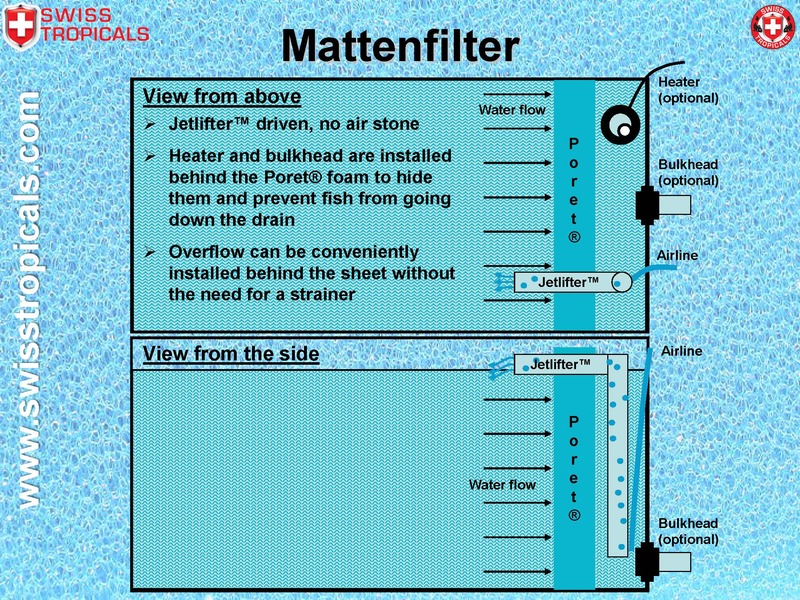 The Mattenfilter with its large inflow area and specific surface is ideal to maintain the filter community long term since it works for years. The Mattenfilter works like the soil, sand, and gravel layers along creeks and river banks. This area is called the riparian zone from the Latin term ripa = river bank. 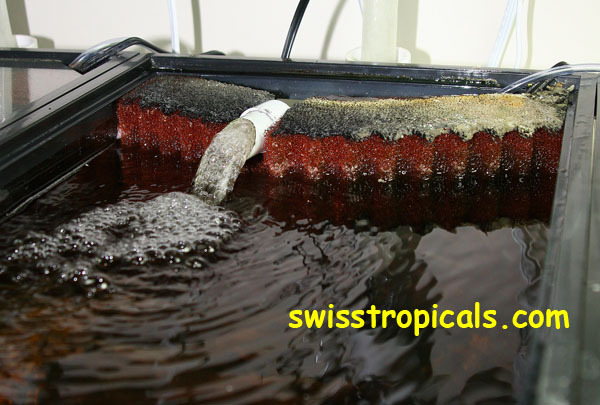 Sediments are trapped, which creates clear water, and dissolved pollutants are processed by microorganisms, which improves water quality via biofiltration. 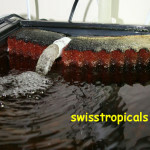 As such, the Mattenfilter replaces the riparian zone in the aquarium. Since riparian zones work best when undisturbed, Mattenfilters should not be cleaned, unless the water flow get visibly reduced (i.e. the water level behind the sheet drops). Check out the Mattenfilter layout as a pdf. To understand the benefits of the Mattenfilter it is best to compare it with other commonly used filters. 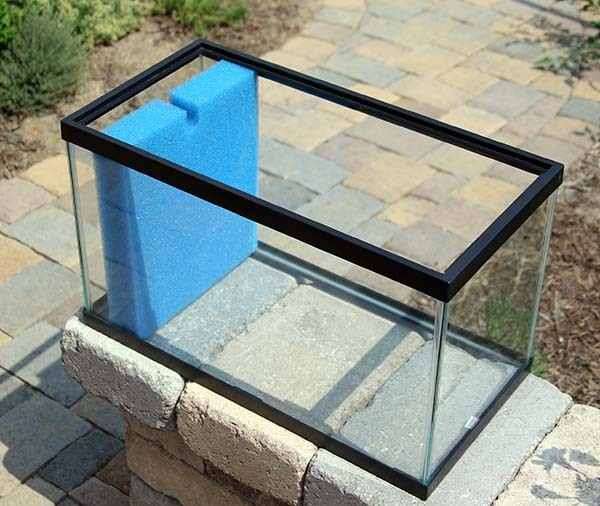 As an example, let’s compare the Mattenfilter with an Eheim 2213 Classic and a Hydro-Sponge V in a 20 gal aquarium (30x12x12 in). Filter size: Mattenfilter 12x12x2 in = 288 in3= 10,569 in2 of specific surface area with 30 PPI Poret®. The large sponge filter is 3x smaller at 93 in3, while the Eheim canister is about 40% smaller at 175 in3. The Jetlifter™ large 8″ (up to 185 gal/h) easily outperforms the Eheim pump (116 gal/h) and the Hydro-Sponge (~100 gal/h), depending on the air pump used. Time savings: Because the Mattenfilter requires essentially no maintenance (only when the water level behind the sheet starts to drop, which can take several years), the time savings are substantial when compared to other filters. 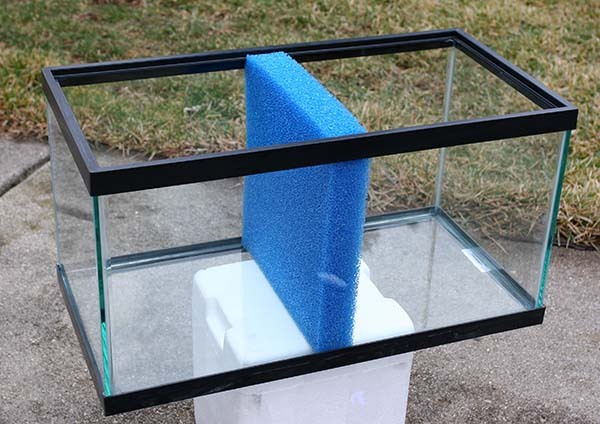 Let’s assume you clean the sponge filter every month for a year. That takes maybe 5 min each time, so 5 min x 12 times = 60 min. 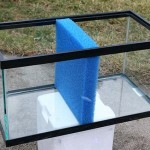 If you have only a few tanks, that may not matter but do the math for 20 tanks per month: 20 tanks x 5 min = 100 min per month just for rinsing sponge filters. The Eheim lasts about 2-4 months if filled properly but easily takes 20 min to clean and reassemble. So about 120 min of work per year. The Mattenfilter is left untouched all this time; if you want you can occasionally vacuum the front of the sheet with a hose when changing water. However, in my experience that is not necessary most of the time. Costs savings: The cost for a Mattenfilter of this size is $24 but it provides 3x the filter volume volume of the sponge filter, which is about $12. Thus, the sponge filter is 50% more expensive for the same filter volume. As a Mattenfilter, the Poret® has a lifespan of at least ten years, while the Jetlifter™ has no moving parts that wear out. The sponge on the Hydro filter lasts ~1 year and costs ~$3 to replace. Hence, the cost for the sponge filter over ten years is $42, assuming that none of the other parts ever fail. Consequently, over ten years the Mattenfilter is >40% cheaper to operate with 3x the filtration performance compared to the large sponge filter. The Eheim is about $80 and when filled properly requires no additional media over time. However, the purchase cost is >3x that of the Mattenfilter for only 60% of the filter volume. The Mattenfilter need not necessarily be pushed towards the side or into a corner. The Poret® foam sheet can also serve as a tank divider with filtration function, if the water is pumped from one side to the other. 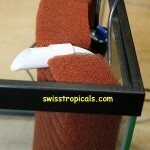 This can be done with the Jetlifters™, which can also be stuck into the foam by drilling holes. In that case, I recommend to use two Jetlifters™ so that water can be pumped into both compartments. 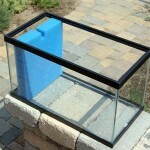 Obviously, very long tanks such as 33L (48x12x12″) can be divided into multiple spaces, perfect for Betta breeding, fry raising, separation of aggressive partners, etc. In such cases, a small water pump (~30-50 gal/h) placed into one end and discharging the water at the other end, creates a huge filter.